The benchmark indices settled on a flat note on Thursday even as the Reserve Bank of India (RBI) cut the repo rate by 25 basis points (bps) to 6.25 per cent in its bi-monthly monetary policy meeting. The S&P BSE Sensex ended at 36,971, down 4 points or 0.01 per cent, while the broader Nifty50 index settled at 11,069, up 7 points or 0.06 per cent. Among sectoral indices, the Nifty Auto index ended nearly 2 per cent higher led by gains in the share prices of Ashok Leyland and Apollo Tyres. The broader market indices outperformed their frontline peers. The S&P BSE MidCap index ended 106 points or 0.74 per cent higher at 14,532, while S&P BSE SmallCap index settled at 13,778, up 110 points or 0.81 per cent. RBI, in its last bi-monthly monetary policy meeting of FY19, cut the repo rate by 25 bps to 6.25 per cent. The central bank also changed its monetary policy stance from "calibrated tightening" to "neutral". It adjusted the reverse repo rate to 6 per cent, and the marginal standing facility (MSF) rate and the Bank Rate to 6.5 per cent. Monetary Policy Committee (MPC) voted 4-2 in favor of rate cut. 2 MPC members Chetan Ghate and Viral Acharya were for status-quo in rates; decision on changing stance to neutral was unanimous, the central bank said. "These decisions are in consonance with the objective of achieving the medium-term target for consumer price index (CPI) inflation of 4 per cent within a band of +/- 2 per cent, while supporting growth." the central bank said in its policy statement. GDP projection for 2019-20 is projected at 7.4 per cent, the RBI said adding that the inflation rate was estimated at 3.2-3.4 per cent in the first half of the year 2019-20 and 3.9 per cent in the third quarter of 2019-20. Shares of automobile companies rose up to 7 per cent on the National Stock Exchange (NSE), after the Monetary Policy Committee (MPC) of Reserve Bank of India (RBI) in its sixth bi-monthly monetary policy meeting on Thursday cut the repo rate by 25 bps to 6.25 per cent from 6.50 per cent, earlier. 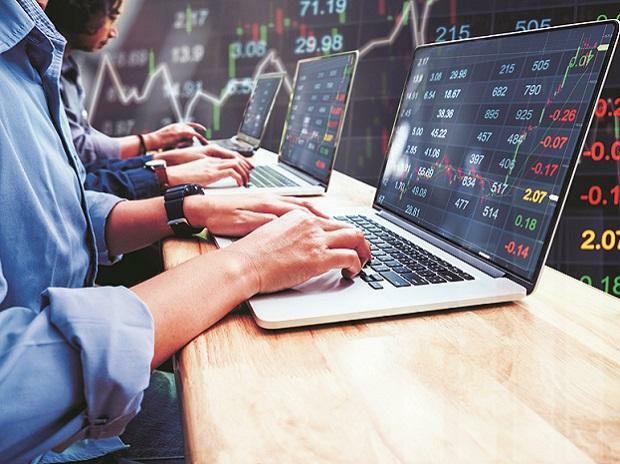 Shares of Manappuram Finance settled 7.79 per cent higher at Rs 104.45 and that of Muthoot Finance ended 6.61 per cent higher at Rs 517 on Thursday on back of heavy volumes after these companies reported a strong set of numbers for the quarter ended December 2018 (Q3FY19).